Austria was one of the 28 countries to participate in the Inaugural Worldwide Lyme Awareness Protest. 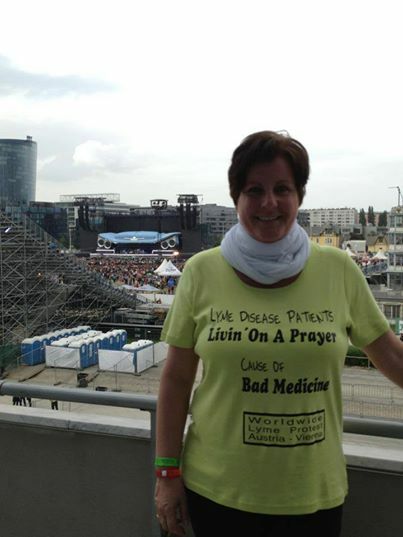 Marian J. Baun submitted this photo of herself as a one-woman Lyme demonstration at a Bon Jovi concert in Vienna, Austria. Lyme Disease Patients "Livin' on a Prayer"
Well done Marian - Awesome and creative work! !